Bouchard Finlayson produces some of South Africa’s top wines and they are most well known and widely regarded for their Pinot Noir (their Galpin Peak Pinot just happens to be tied for first place as my favourite South African wine). But although we love the wines, this was our first time actually visiting the farm. 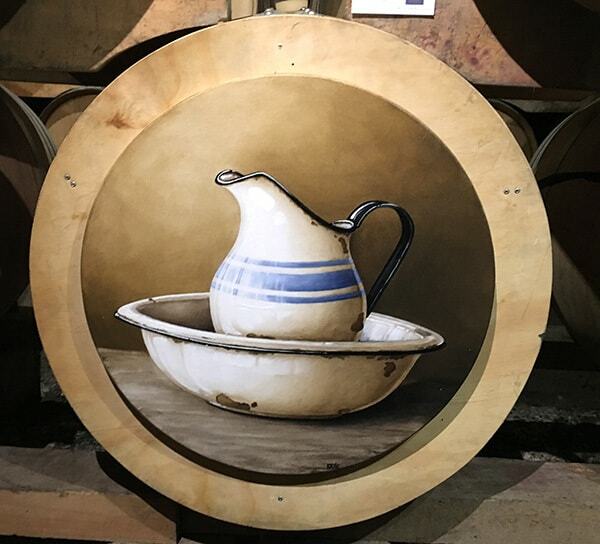 We were invited to the farm as part of a small media group for a preview of the top 54 entries for the 2018 Tollman Bouchard Finlayson Art Award. 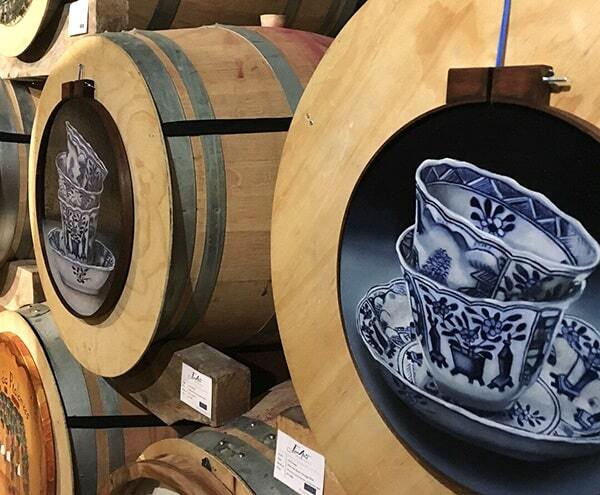 A national competition which this year received 226 entries, it is recognised as one of the principal events during the Hermanus FynArts Festival. The theme of this year’s competition was ‘Vintage’ and once again, artists were invited to submit their entries, in tondo format (circular – at a maximum of 60cm in diameter). Entries were received across various types of media, including, paper, ceramic, embroidery, mosaic, metal-work, photography, digitally/mechanically produced, photo-based and sculptural/3-dimensional works. After working our way through the art and working up an appetite we made our way to the Manor House for a sumptuous 3 course lunch paired with Bouchard Finlayson’s award-winning wines before heading back to Cape Town. Thank you to our host Peter Finlayson for a memorable day! 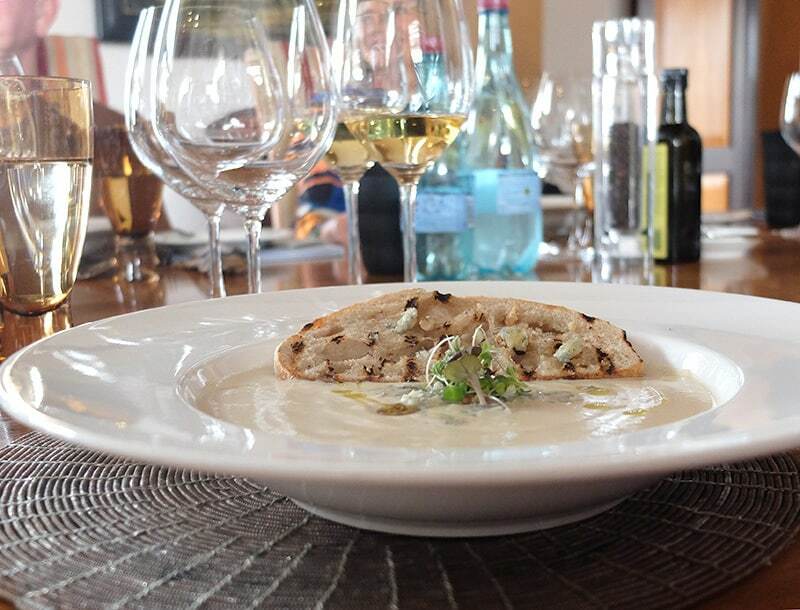 Cauliflower soup with grilled ciabatta and blue cheese and caramelized onions. This was paired with the farm’s outstanding Missionvale Chardonnay (we did a mini vertical tasting of their 2013 and 2016 vintages – and I think the 2016 is going to be outstanding with another year of aging). 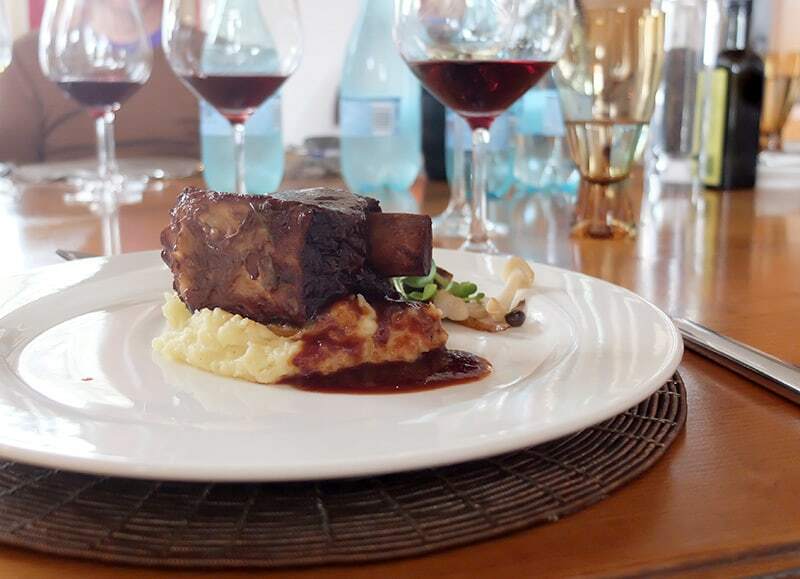 We had braised beef short rib with truffle mash, wild carrots, exotic mushrooms, chard asparagus and roasted garlic paired with the ever exciting Hannibal. We tried the 2016 – a blend of Sangiovese, Pinot noir, Nebbiolo, Shiraz, Mourvédre and Barbera, along with our perennial favourite, their Galpin Peak Pinot Noir, also their 2016 vintage. 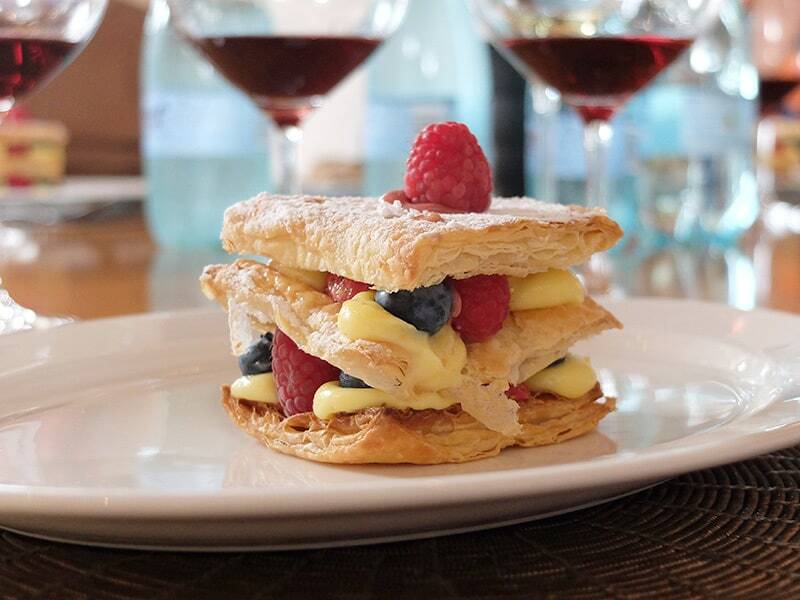 This was a delicious, decadent high point of the meal: Berry Mille-Feuille which I tried with the Hannibal – a perfect combination!